height: 19.3cm, width: 14.2cm, weight: 2.53kg. The semi-circular arch of the prabhavali encloses the five heads. The heads correspond to the four diamond and one circular motifs on the front of the high pedestal. The arms hold various attributes. There is ample jewellery cast onto the prominent chest. Moon and star symbols are on the five foreheads and on the crest of the prabhavali. A shield is held in the left front forearm; it is in the ‘cross and dot’ style of southern India. The image has been cast in white brass. It is solid cast except for the pedestal. As such, it is heavy for its size. The late K.C. 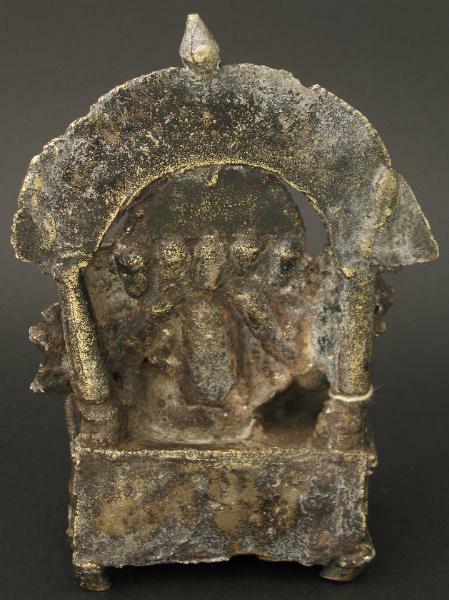 Aryan, from whose collection this image has come, founded the Museum of Folk, Tribal & Neglected Art near New Delhi. 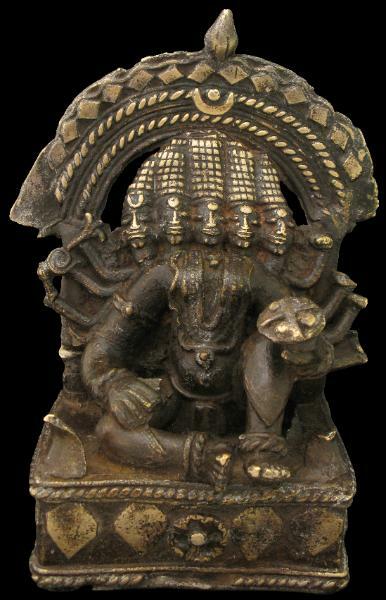 Sadashiva images with five heads are few. There is a sixth century seven-metre high Sadashiva carved from the rock face in the cave temple of Shiva on Elephanta Island, near Mumbai (Bombay). However, the Elephanta example has three obvious heads only. 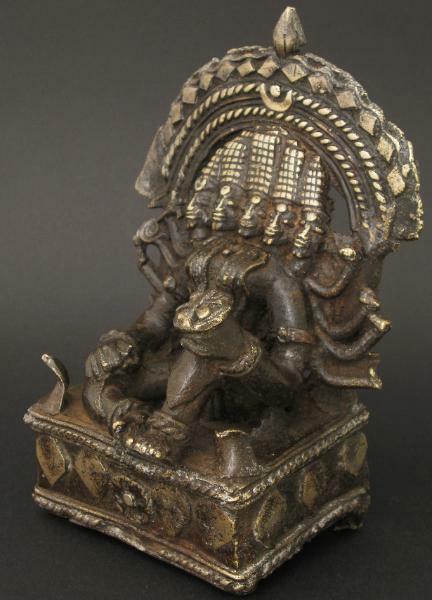 Overall, this is a rare opportunity to acquire a relatively early Southern Indian folk bronze of ample size that is published and rare in its subject matter. K.C. 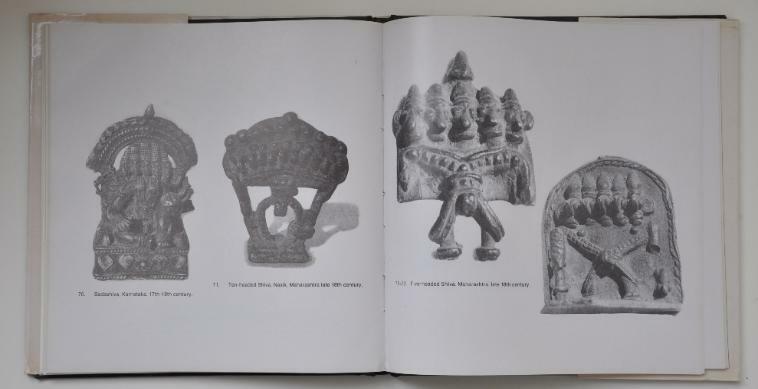 Aryan Collection, Museum of Folk, Tribal & Neglected Art. 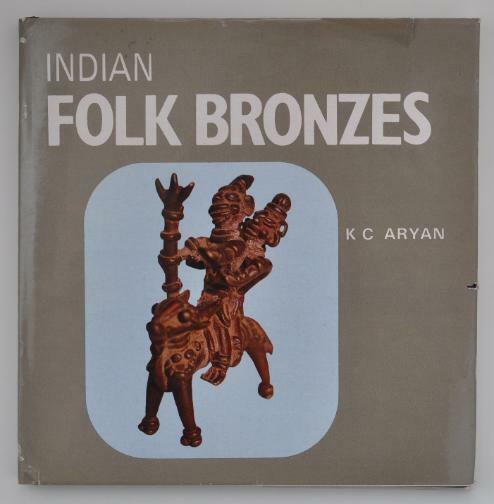 Aryan, K.C., Indian Folk Bronzes, Rekha Prakshan, 1991, fig. 70. 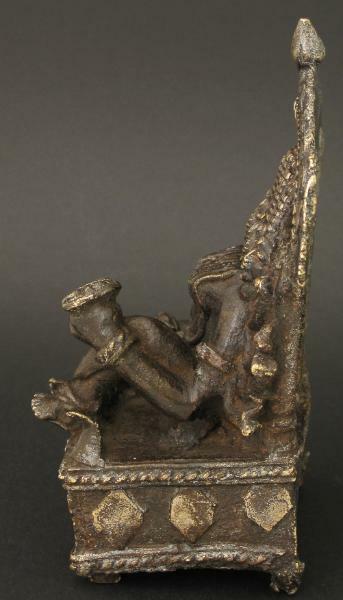 Aryan, K.C., Indian Folk Bronzes, Rekha Prakshan, 1991. The bronze offered here is illustrated on the far left.